Pick up what the voices of the Eastern Coachella Valley are putting down. This promises to be a night to remember as Crisalida Community Arts partners with Culturas Music and Art, The East Valley Repertory Theater Company, and other arts groups and artists for a celebration of the creative voice featuring local poets, actors, writers, storytellers, djs, bands, folkloric dance, and more. Refreshments and dollar toacs will be available for purchase to support Culturas Music-Arts, please bring a food dish to share. 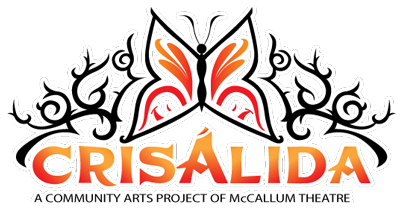 AND…The debut of the new Crisalida Community Art Van! !